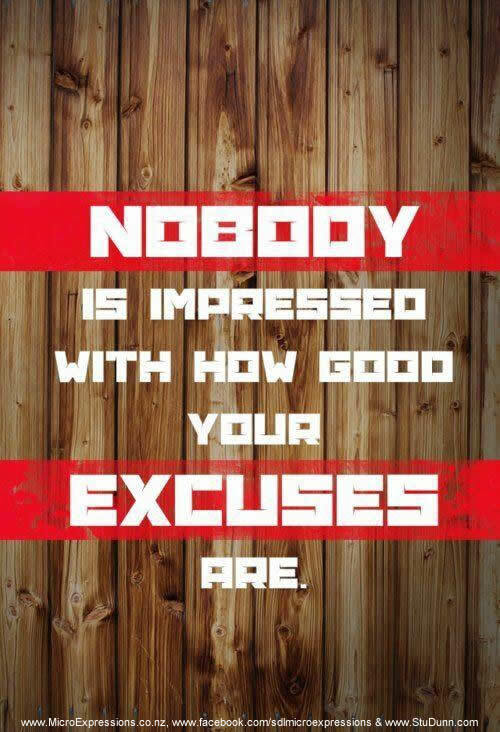 Nobody is impressed with how good your excuses are – so why make them? Take ownership, be proactive in your accountability, and take responsibility for your actions, inactions, thoughts and – most importantly – your own goals, dreams and desires. This entry was posted in Psychology and tagged stop making excuses. Bookmark the permalink.